What is the project doing about non-native invasive pests and pathogens and their impact on trees? 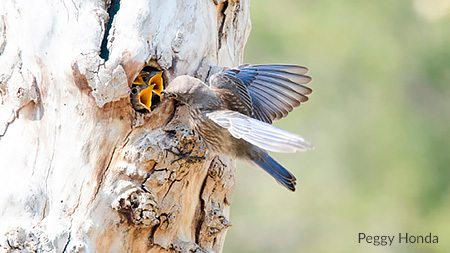 The project recognizes that existing and continually emerging invasive tree-pests sometimes impact the quality of urban forests and ultimately, the welfare of wildlife. Evaluation and management of such pests is considered standard practice in arboriculture. It is does not fall within the scope of this project. To learn more about what urban forest managers are doing to reduce the impacts of pests and disease visit the Agriculture and Natural Resources page on the University of California website. Do I have to follow these Best Management Practices to do tree care in California? No. These are recommended practices that are designed to help keep arborists from breaking the law. While we think that they are a good way to avoid nesting wildlife, other methods for minimizing impacts to wildlife may be just as good. How do I find a wildlife biologist? Another way to find one in your area is with a web search for ‘consulting ecologist,’ while including your city name. The California Department of Fish and Wildlife has an extensive list of wildlife rehabilitators. Are the Best Management Practices an official International Society of Arboriculture document? No. 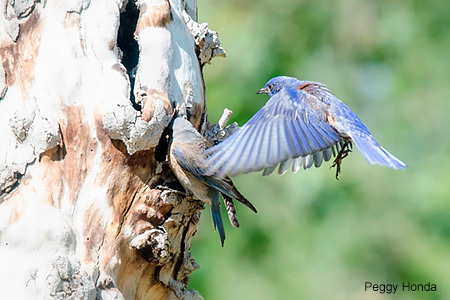 The Best Management Practices were developed by a group of arborists, wildlife biologists, and wildlife advocates that formed the grassroots organization Tree Care for Birds. Many ISA certified arborists were involved in its development, but it is not an official ISA document. What if I can’t afford a Wildlife Biologist? How do I learn more about birds and other wildlife? Be aware and observe wildlife whenever you have the opportunity, even in urban areas. Local Audubon chapters offer many free walks and programs as well as for-fee classes to learn and appreciate birds and wildlife. 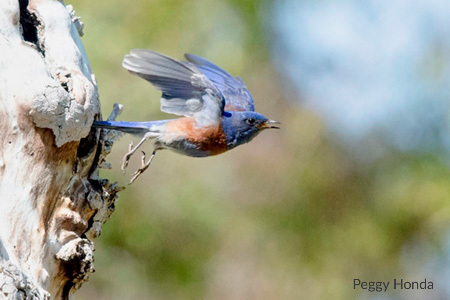 You can use this link to find the Audubon Chapter nearest you. Many people learn birds with a good bird identification book and a pair of binoculars. Wildlife photography is another good way. Images can reveal species’ behaviors as well as their identifying field marks that we might otherwise not be able to see or observe from a distance. Other excellent resources include the websites listed below. In some cases, you will have to create an account; but this is worthwhile because these sites provide access to photos, descriptions, vocalizations and range maps of all native north American bird species. Among the data that E.bird provides is the most up to date locations where birds have been seen, not only in north America but worldwide. This is particularly helpful because a search on E.bird provides specific locations and dates. A search for ‘wildlife organizations’ will bring up many more resources. Do I have to hire a wildlife biologist for half of my jobs? No. We expect that only a few jobs would fall into the Category 3 where a Wildlife Biologist is recommended and that most of those jobs could be delayed to fall outside of breeding season. For Category 3 jobs, we recommend a wildlife biologist but each arborist must decide whether or not to work with a wildlife biologist. Are these Best Management Practices putting too much regulation on the tree care industry? No, these Best Management Practices are adding no regulations to the industry. The laws and regulations listed in Appendix III have been present in California for many years (nearly 100 years in the case of the Migratory Bird Treaty Act). The Best Management Practices help clarify the existing laws and regulations and provide guidance for how to work legally within these laws. How do I find out about urban tree pests in Southern California? Has the South American Palm Weevil, Rhynchophorus palmarum, Established in Southern California?